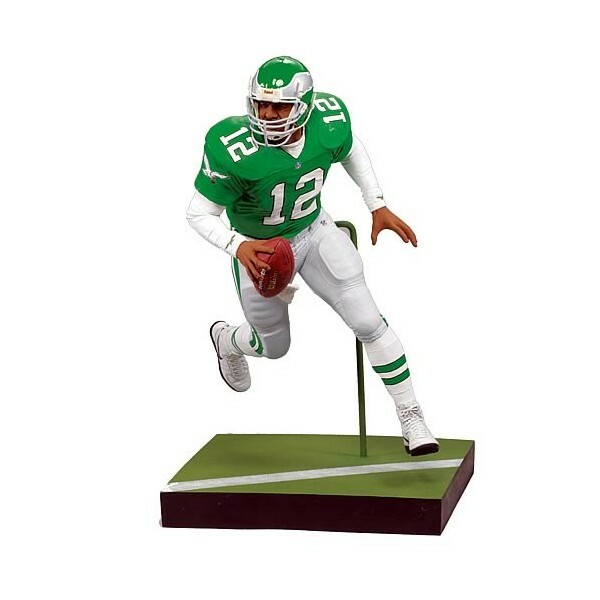 After replacing Ron Jaworski as the starting QB in 1987, former UNLV star Randall Cunningham had some great seasons with the Eagles. His scrambling ability and strong arm kept defenses on their toes. He frequently made defenses look silly as he juked his way past them. 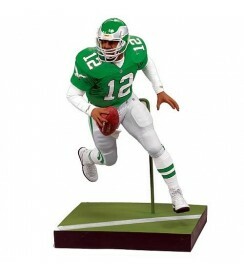 Celebrate this former Eagles QB with this 6-inch tall plastic action figure of him in action!